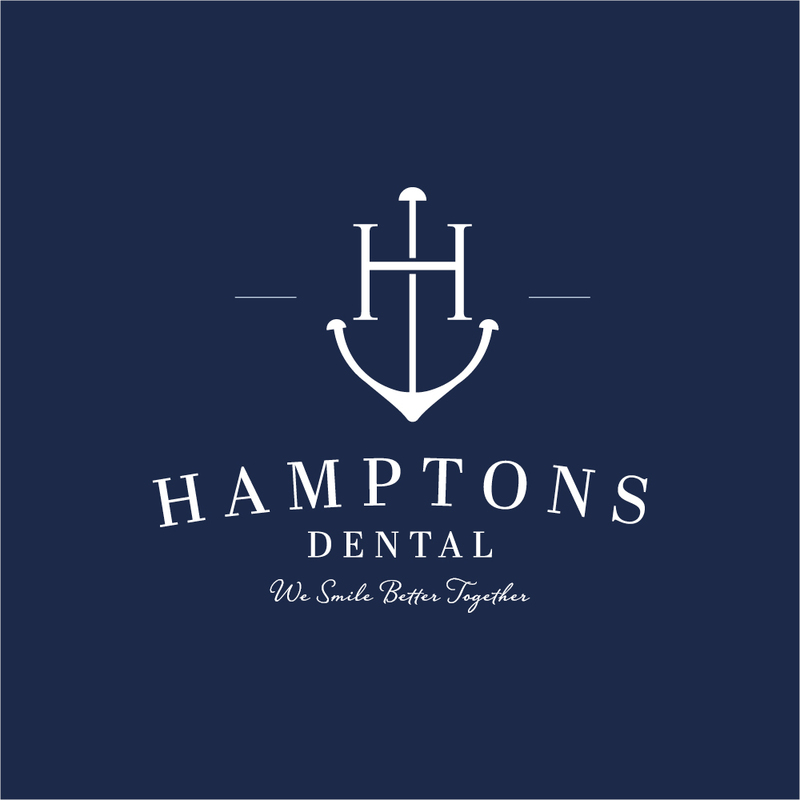 Introducing Hamptons Dental, DFW family and cosmetic dentist. We’ve worked with the entrepreneurs in the Hampton family alot over the years. From Sociologie Wines creator, Amy Hampton, dentist Darian Hampton, owner of Hamptons Dental, we have loved watching this family, and their businesses grow. 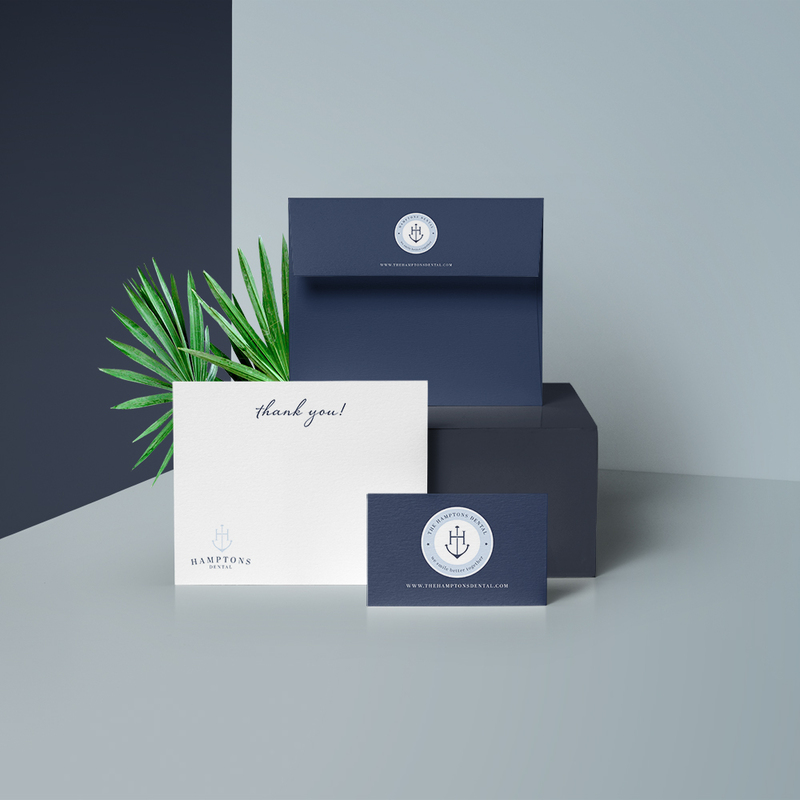 Alway looking for consistent, cohesive, brand strategies that standout in the mix, Darian and Amy came to us looking for a rebrand for their dental brand, that would better represent their stylish, nautical inspired office. 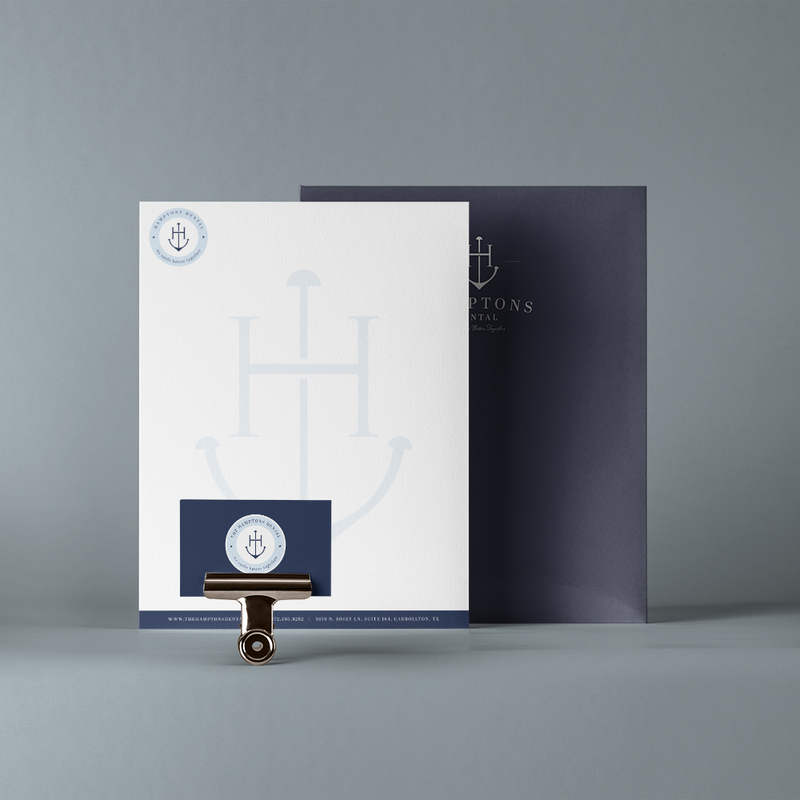 We started with their custom logo design, and continued by creating a brand styleguide, business cards, letterhead, custom forms and more. Take a look and let us know what you think. 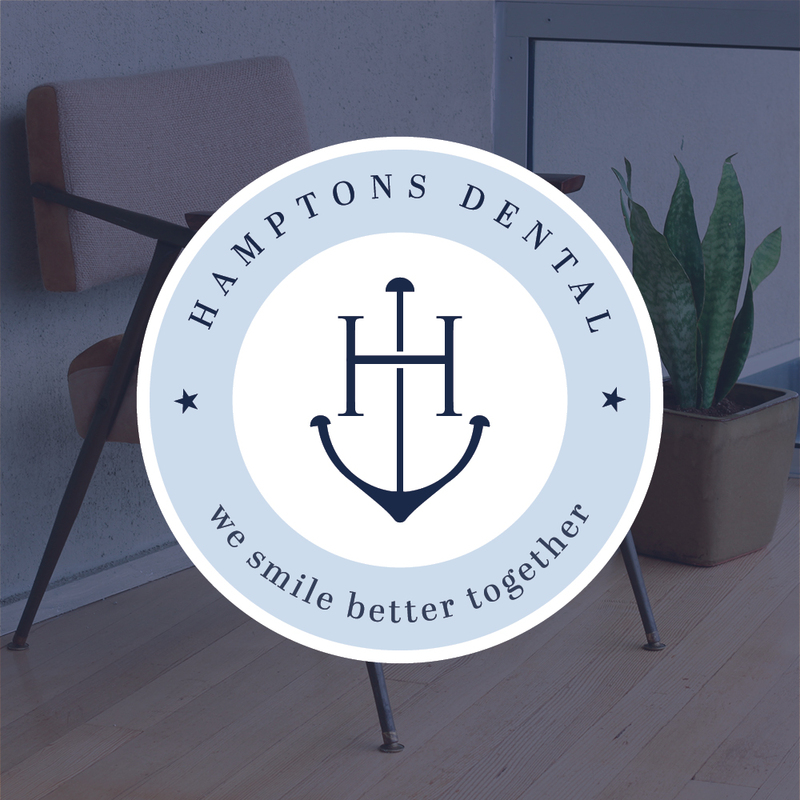 Get to know The Hamptons Dental The Hampton’s Family & Cosmetic Dentistry offers only the most technologically advanced dental care. We provide general dental care, including pediatric dentistry and orthodontics, as well as cosmetic dentistry services in the North Dallas and Carrollton areas. Services range from routine dental checkups and cleanings to teeth whitening, dental implants and clear braces. No matter what your dental goals are, Dr. Hampton can create a personalized treatment plan to give you a dazzling smile that truly reflects who you are. To ensure patient satisfaction, Dr. Hampton and staff provide the highest quality dental care with a cheery attitude in a comfortable environment. They want to make sure that every patient feels at ease during his or her dental treatment. In addition, Dr. Hampton believes in continuing education, so he always stays abreast of technological advancements and innovative techniques in dentistry. This way, he is confident that his patients are getting the best dental care around. Darian L. Hampton, DDS, has received several awards for excellence in dentistry. The Consumers’ Research Council of America selected Dr. Hampton for America’s Top Dentist Award for multiple years. The International Association of Dentists also recognized him as a Leading Physician of the World in May 2012.